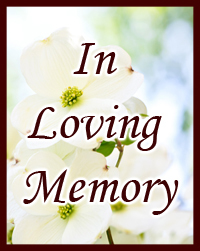 James J. O’Laughlin Jr., passed away on July 19, 2018. Vietnam Army Veteran. Cherished husband of Frances (nee Skobis). Devoted father of Michael O’Laughlin. Loving brother of John (Brenda) O’Laughlin and Marianne (Lowell) Richardson. Memorial Visitation Saturday, July 28, 2018 11 am until time of Memorial Service 2 pm at Maher Funeral Home, 17101 S. 71st Ave., Tinley Park. In lieu of flowers, memorials to The Wounded Warrior Project, 230 W. Monroe St., Suite 200 Chicago, IL 60506 would be appreciated. For info: (708) 781-9212.